"Little blossom in peach and gray, grew up strong and found your way; two things more yet to be seen, until at last you'll . . ."
I loved Alice's Adventures in Wonderland as a kid. I equally enjoyed Frank Beddor's The Looking Glass Wars. 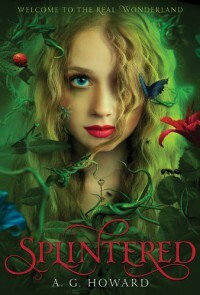 Splintered is a wonderful addition to reimaginings of Carroll's original. I truly enjoyed this adventure. Alyssa is a strong and capable character who is treated as if she's fragile. It easy to see why her father is over protective. Alyssa's adventure down the rabbit hole is not only a journey to save her mother, but also to find herself. 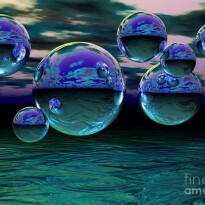 The lessons she learns in Wonderland are far more reaching than just breaking a curse, it is life altering. Jeb is an interesting character. He is the beat friend everyone deserves. Morpheus is scary and exciting and mysterious, it's a no brainer why Alyssa and everyone before her found him so intriging. Overall, this is a wonderfully demented and enchanting look at Wonderland and the effects of visiting such a place. I am looking forward to reading The Moth in the Mirror and Unhinged as well as any other forthcoming books.